Packer Chiropractic has been providing residents in Easton and the neighboring areas a natural means for healthier living since 1972. Your health is one of your most valuable assets. Pain and discomfort minimize your ability to live life to the fullest. Our primary goal is to make you feel better using chiropractic care. Our commitment to you is two-fold. You will be treated naturally, and we will do everything we can to help you get the results you’re looking for. After getting well, many of our patients choose to stay well with some type of ongoing wellness care. Educating and adjusting as many families and individuals as possible to ensure your lifelong health and wellness with natural chiropractic care is our mission. Corrective care provides you with longer-lasting spinal changes. It helps restore segmental integrity to the spine, improve weight distribution and avoid spinal degeneration. Home care programs like spinal molding help to counter postural distortions, and exercises enable you to strengthen your spine. With wellness care, you can achieve your optimal health and wellness goals. To help you maintain a high quality of life, we offer educational opportunities (like this website) to spread the benefits of chiropractic care. 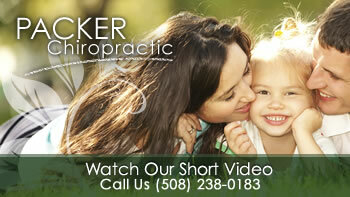 Contact our Easton Chiropractic office today to schedule an appointment (508) 238-0183!